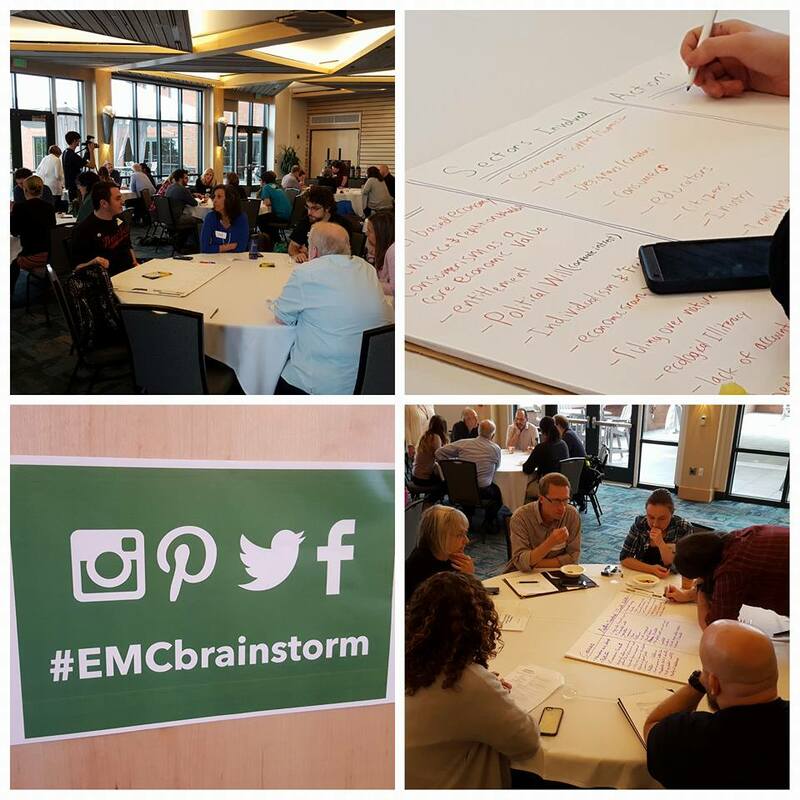 According to my Google search, the definition of a brainstorm is “a spontaneous group discussion to produce ideas and ways of solving problems.” This is exactly what I did, thanks to the Emergent Media Center (EMC), for two days straight earlier this week. 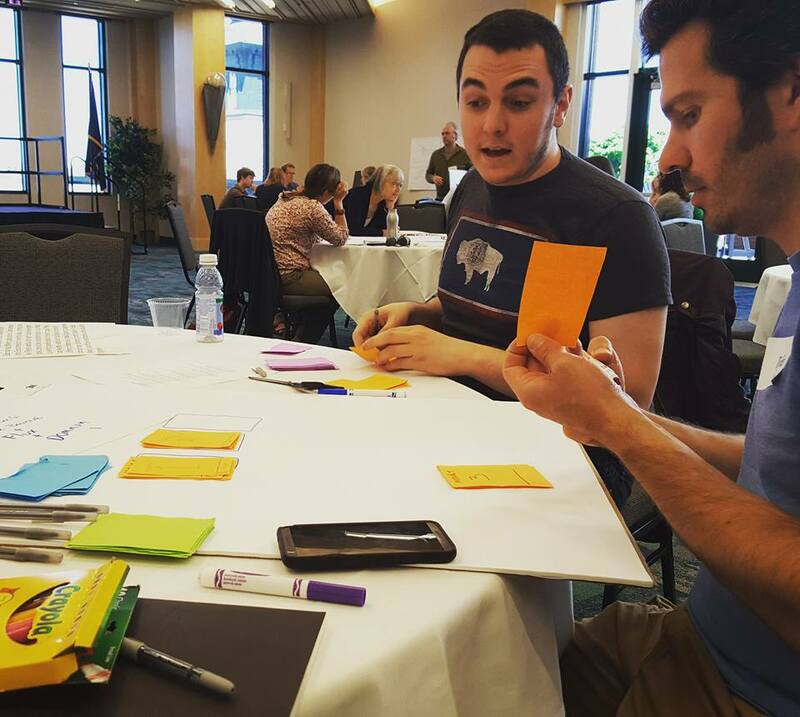 The brainstorm was meant to produce ideas for a game or app that helps solve the issue of climate change. This was my first brainstorm, and I have to admit, it wasn’t what I was expecting. I thought that the brainstorm would be a boring, stuffy event filled with lectures and presenting ideas. I could not have been more wrong! The EMC’s version of a brainstorm is very lively, filled with intellectual discussions, prototype building, and tons of learning and insight. action into a game– something that could not have put me more out of my element! Fortunately, there was a great mix of people with different backgrounds (read: I wasn’t the only non-gamer there) and there was definitely no judgement! To my surprise, everyone valued each other’s skills equally– a great testament to the fact that we need everyone’s skills to thrive. The group I was in included about three people versed in climate change issues, one person with a gaming background, and me, a marketing student. It was a weird combo, but I really enjoyed the game concept we came up with– it was a card game that made the players think about short-term vs. long-term gains and promoted collaboration as a way to get to the win-state. We came up with all of this on just the first day! On Day 2, my group had only two of its original members (including myself) and it was refreshing to get new perspectives. Our new group boasted two computer science students, one game design student, and a MakerLab employee. Day 2 was when we could start prototyping our game and really flesh out our idea. It turned out our game was very complicated and needed a lot of tweaking to become playable! At the end of the day, I think our game stayed true to itself, but was massively upgraded from Day 1. At the end of the two day brainstorm, all the groups came together to share the games they had designed. The games included concepts similar to Simcity (but with real life benefits such as access to your local government or donating money to climate change charities for in-game benefits), a card game won by using facts about climate change, and our card game, built on cooperation, choices, and the push to look at long-term benefits to create a sustainable world. If you ever have a chance to go to a brainstorm, take it!! You will have fun (trust me, I was skeptical at first too…) and be exposed to many people and ideas you would not normally be exposed to, which is always a beneficial experience.